Liczba stron: 608 Jest to ujednolicona liczba stron, która ułatwi Ci porównanie długości książek. Każda strona Legimi to 200 słów. When Elizabeth Bennet first meets eligible bachelor Fitzwilliam Darcy, she thinks him arrogant and conceited; he is indifferent to her good looks and lively mind. When she later discovers that Darcy has involved himself in the troubled relationship between his friend Bingley and her beloved sister Jane, she is determined to dislike him more than ever. 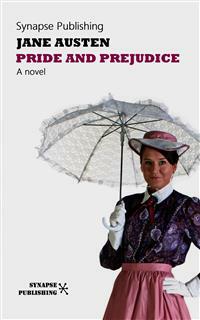 In the sparkling comedy of manners that follows, Jane Austen shows the folly of judging by first impressions and superbly evokes the friendships, gossip and snobberies of provincial middle-class life. A masterpiece of literature. Elizabeth listened in silence, but was not convinced; their behaviour at the assembly had not been calculated to please in general; and with more quickness of observation and less pliancy of temper than her sister, and with a judgement too unassailed by any attention to herself, she was very little disposed to approve them. They were in fact very fine ladies; not deficient in good humour when they were pleased, nor in the power of making themselves agreeable when they chose it, but proud and conceited. They were rather handsome, had been educated in one of the first private seminaries in town, had a fortune of twenty thousand pounds, were in the habit of spending more than they ought, and of associating with people of rank, and were therefore in every respect entitled to think well of themselves, and meanly of others. They were of a respectable family in the north of England; a circumstance more deeply impressed on their memories than that their brother’s fortune and their own had been acquired by trade. Between him and Darcy there was a very steady friendship, in spite of great opposition of character. Bingley was endeared to Darcy by the easiness, openness, and ductility of his temper, though no disposition could offer a greater contrast to his own, and though with his own he never appeared dissatisfied. On the strength of Darcy’s regard, Bingley had the firmest reliance, and of his judgement the highest opinion. In understanding, Darcy was the superior. Bingley was by no means deficient, but Darcy was clever. He was at the same time haughty, reserved, and fastidious, and his manners, though well-bred, were not inviting. In that respect his friend had greatly the advantage. Bingley was sure of being liked wherever he appeared, Darcy was continually giving offense. Within a short walk of Longbourn lived a family with whom the Bennets were particularly intimate. Sir William Lucas had been formerly in trade in Meryton, where he had made a tolerable fortune, and risen to the honour of knighthood by an address to the king during his mayoralty. The distinction had perhaps been felt too strongly. It had given him a disgust to his business, and to his residence in a small market town; and, in quitting them both, he had removed with his family to a house about a mile from Meryton, denominated from that period Lucas Lodge, where he could think with pleasure of his own importance, and, unshackled by business, occupy himself solely in being civil to all the world. For, though elated by his rank, it did not render him supercilious; on the contrary, he was all attention to everybody. By nature inoffensive, friendly, and obliging, his presentation at St. James’s had made him courteous. Lady Lucas was a very good kind of woman, not too clever to be a valuable neighbour to Mrs. Bennet. They had several children. The eldest of them, a sensible, intelligent young woman, about twenty-seven, was Elizabeth’s intimate friend.